This tourism area covers 5027 sq. miles with 200 miles of coastline. It’s offers are nature-based, since it is known worldwide for its wildlife, bird and turtle observing activities. Tortuguero area exhibits a unique mix of beach, natural resources and Afro-Caribbean culture in the surrounding areas like Cahuita, Puerto Viejo, and Gandoca-Manzanillo, which are located in the southern sector. Here there are high-quality beaches where you can find a mix of activities involving adventure and ecotourism, which uniquely complement the local culture, gastronomy, and music. The area is also known for it’s coral reefs, multi-colored sand beaches, and it’s lush costal vegetation. 1. Tortuguero National Park & Canals:With super high biodiversity, Tortuguero represents the country’s second largest wetland. It is located in the northern part of the Caribbean and is the most important place for nesting sea turtles in the country, especially between March and October. Tortuguero Village is colorful and authentic, where you can share and learn about the lifestyle of the local community. 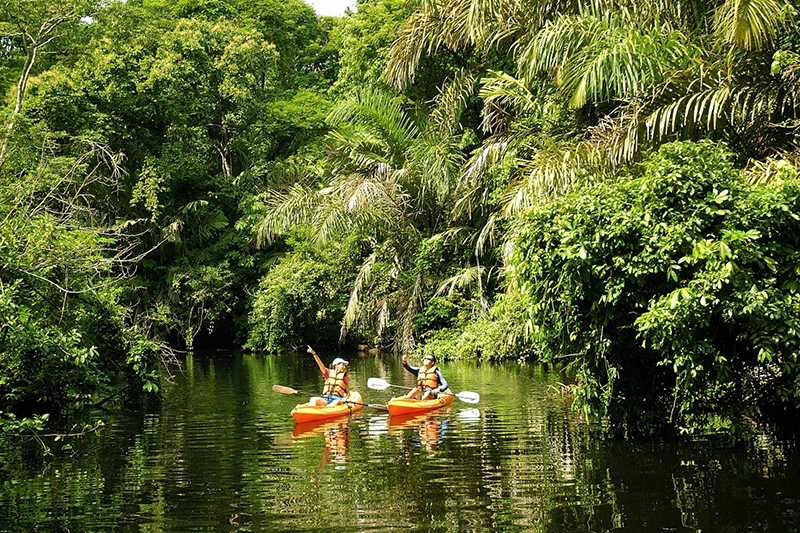 Tortuguero canals are definitely a magical place for birdwatching, where you can find more than 400 different species. 2. 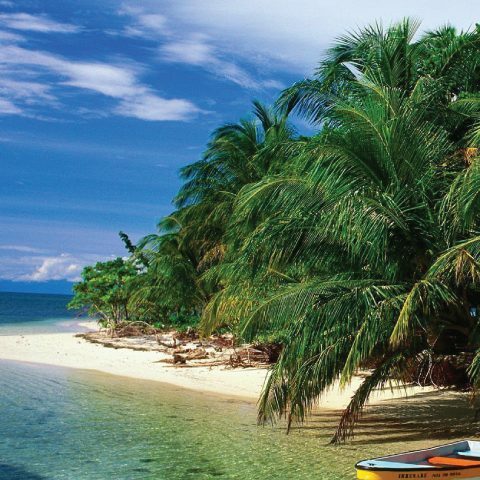 Cahuita National Park: The Caribbean beaches, of both black volcanic sand and clear sand, keep the visitors happy while enjoying the sun and the rain forest that reaches the sea. 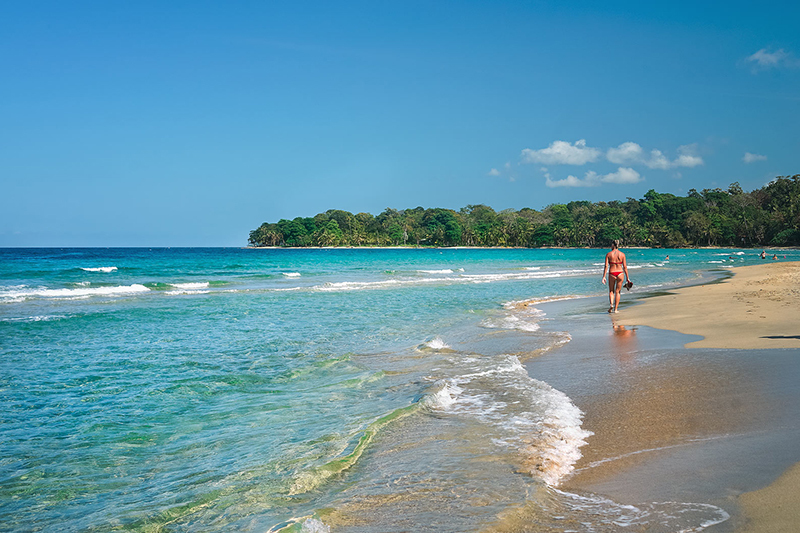 Its natural wealth is well represented in Cahuita National Park and in its live coral reefs (35 species of coral) surrounding the Punta Cahuita. 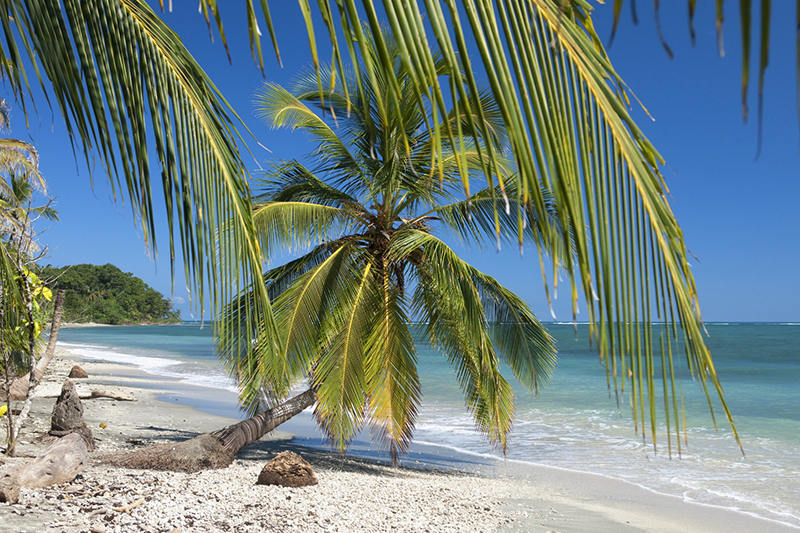 For lovers of surfing and snorkeling, the Caribbean is one of the most beautiful choices. 3. 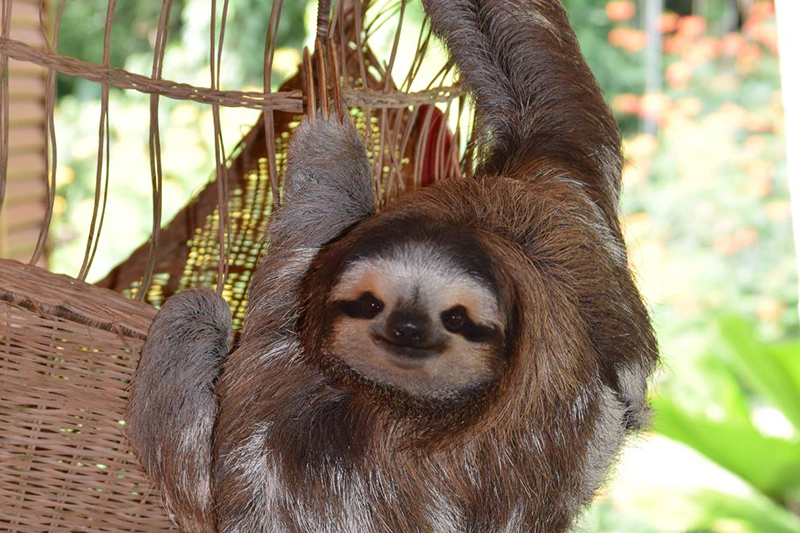 Sloth sanctuary: The Caribbean is well known for its wildlife, most notably the sloth. Located south of the Caribbean coast road to Cahuita is the Sloth Sanctuary, a place that is 100% funded through educational activities and tourism, with the main purpose of caring for the wildlife of the place. 4. Bri Bri Indigenous Reserve & Cocoa PLantations: The Cordillera of Talamanca adjoins La Amistad National Park, shared by two nations, Costa Rica and Panama. 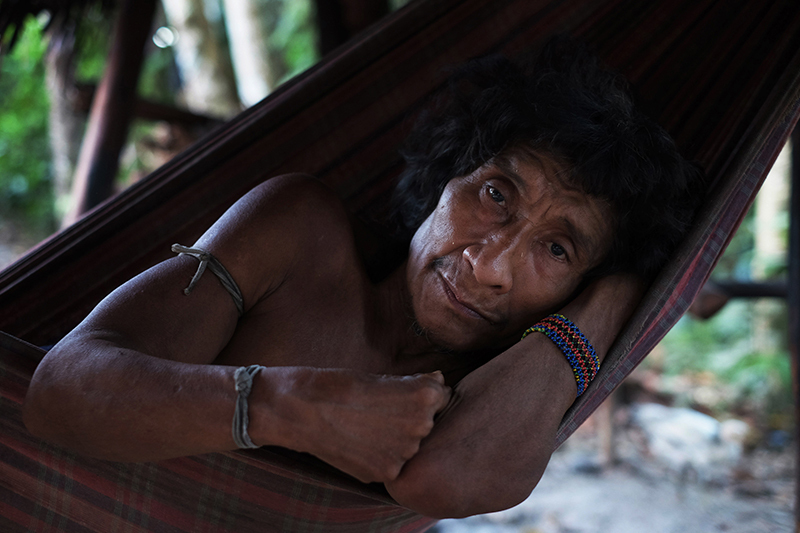 In its dense vegetation, indigenous groups live in hiding, maintaining their culture and customs. The Bri Bri village it’s known for having one of the best cocoas in the world. This Caribbean region is a special place to enjoy this sensory experience and also learn the cocoa production process. 5. Gandoca-Manzanillo Wildlife Refuge: Gandoca-Manzanillo is a beautiful place located south of the Caribbean Coast. It consists of two beaches, Manzanillo and Gandoca, and patches of rainforest. Both beaches are known for their lush coastal vegetation and beautiful landscapes, although they are very different beaches. It is an ideal place for observing the spawning of the leatherback turtle, between the months of April to August. 6. 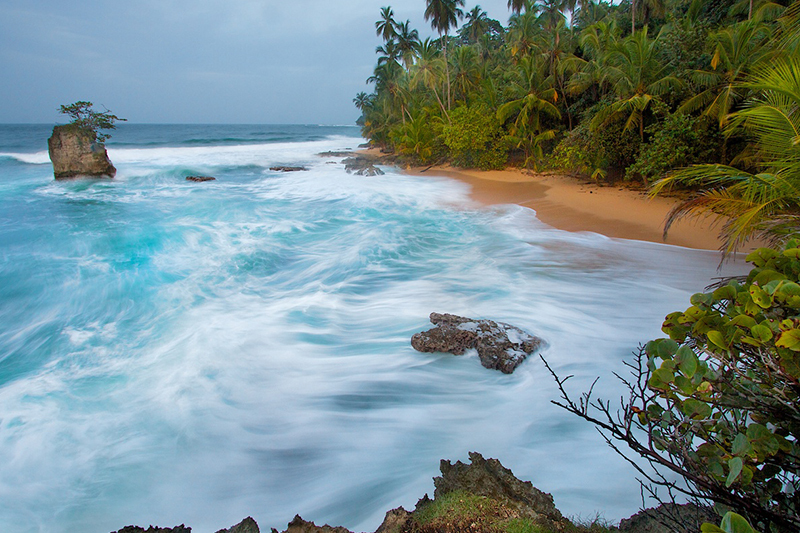 Cocles beach: Located a few kilometers from Puerto Viejo, Cocles is an extensive white sand beach, special for surfing because of its moderate waves. This area is also popular for visitors who want to snorkel, as the coast of Cocles there is a small coral reef.